In August 2017, a 1956 Aston Martin DBR1, chassis number one, became the most expensive British car ever sold at auction. The £17.5 million winning bid was placed via telephone at RM Sotheby's Monterey. Aston Martin originally designed and built the sports racing car for the World Sportscar Championship, winning the 24 hours of Le Mans in 1959. Between 1956 and 1961, the DBR1 featured in 18 races, including 4 at Le Mans. There were 9 wins including the 1959 Le Mans. Famous drivers of the DBR1 included Jack Brabham, Jim Clark and Stirling Moss. 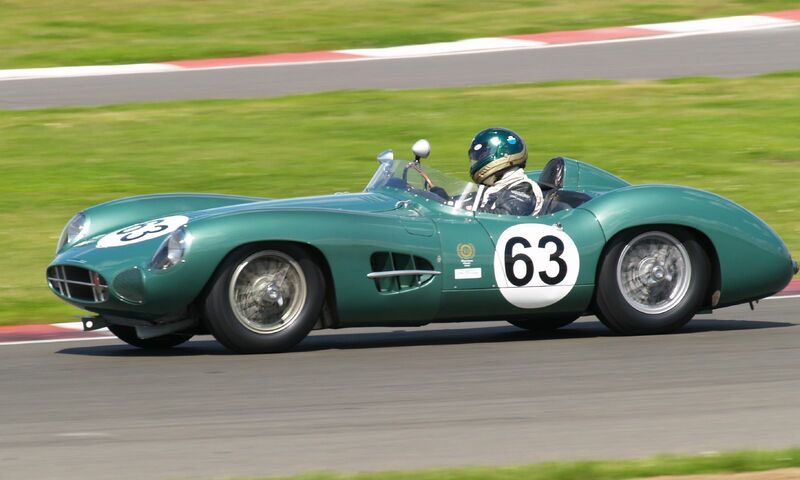 The DBR1 was born from a change in the rules for sports racing cars. From 1956, there was no longer a requirement to use cars that were road legal. Although the body evolved from the shape of the DB3S, there were significant changes to increase the aeordynamics to increase the speed. In 1956, the DBR1 featured a 2.5-litre (2493 cc) racing engine, although this was changed to a Straight-6 (2992 cc) for the 1957 season. The DBR1 was over 4m long and 1.63m wide. The lower profile meant that the height was reduced to just under 1m. 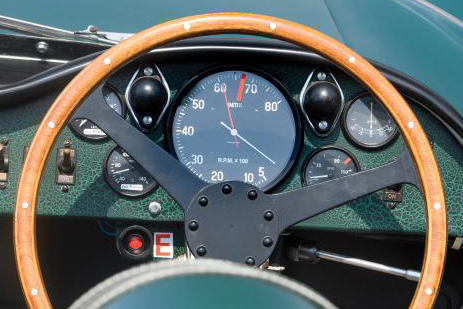 When selecting the tachometer and other gauges for the DBR1, Aston Martin returned to SMITHS Instruments. SMITHS already had a long-standing working relationship with Aston Martin and had provided gauges for models including the DB1 and DB2. In all, four gauges were supplied with the ammeter was supplied by Lucas. As with all sports racing cars, the main instrument the tachometer was a chronometric instrument with a tell tale pointer (in the picture red marker has been added around 6700RPM to clearly indicate the maximum revs). The other gauges registered oil pressure and temperature, and water temperature. SMITHS Instruments have a great history of designing and supplying gauges for classic sports racing cars including the GT40.